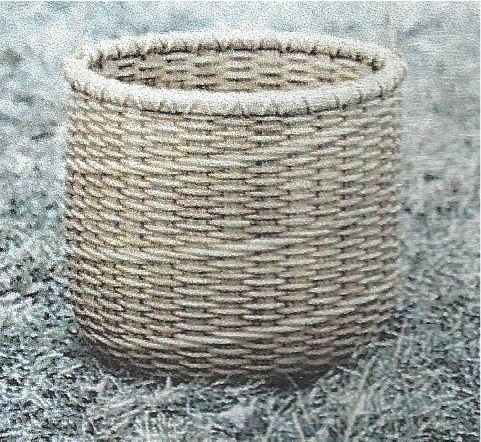 This basket is woven in a countiuous "chase weave". Two weavers creat spirals on oposite sides of the basket. Height - 10 1/2"; with handle 18"